Former Blackhawks star Bryan Bickell, who was diagnosed with multiple sclerosis in November, announced Saturday that he will retire, according to NHL.com. Bickell told NHL.com before Saturday night's game against St. Louis that he and his family decided these final two games would be his last. Carolina wraps up the season Sunday at Philadelphia. 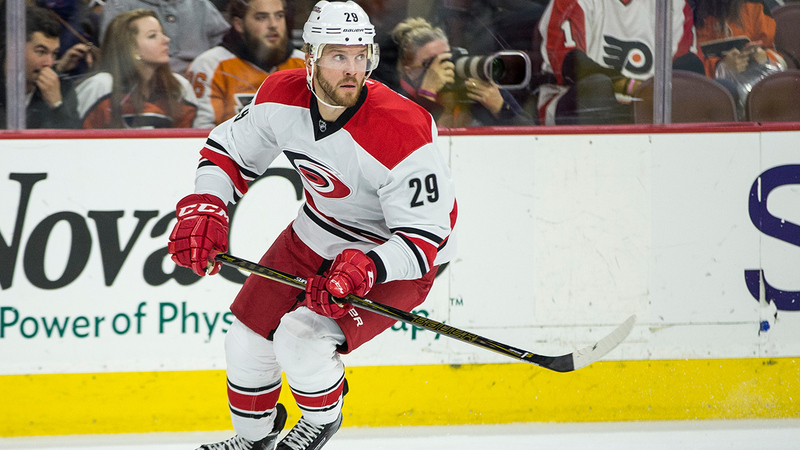 The 31-year-old, three-time Stanley Cup champion with Chicago was diagnosed with MS in November but returned to hockey in February when he was assigned to the Hurricanes' AHL affiliate in Charlotte. He was in the lineup for the game against the Blues, his third with the Hurricanes since rejoining them . On Saturday, his Carolina teammates joined him for an MS benefit walk. Bickell was diagnosed with multiple sclerosis in November.